Planet Fitness is letting members AND non-members use its HydroMassage chair for FREE on Tax Day with this coupon. If you've got documents you need to be shredded, use this coupon and get up to 5 pounds of free document shredding. Chili's is offering $5 Cuervo Blue Margaritas! All month, Applebee's is offering its DOLLARITA - $1 house margarita! Buy one large pizza and get another large cheese for free! You can score all-you-can-eat pizza for only $4.17! Don't forget to bring this coupon! 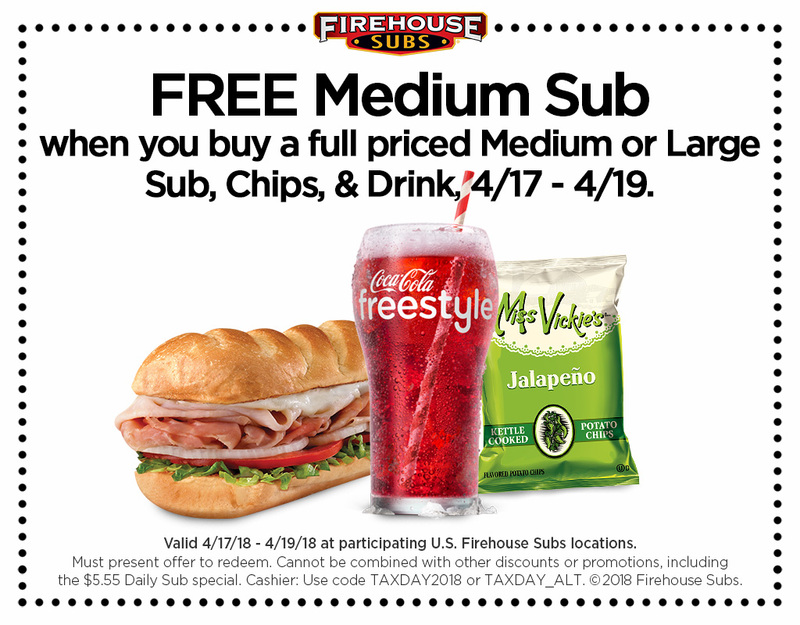 Buy a full-priced combination of a sub, chips, and drink and get a second medium sub for free (with this coupon).